or "little boats paid for by donations", or fly over it in search and rescue operations, a Storm, and Murphy. Lots of Murphy. 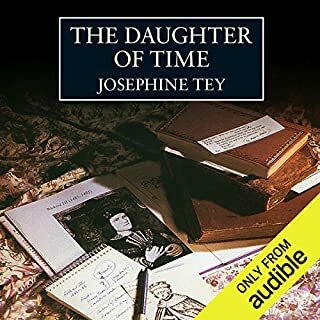 I first read this story in paperback from the Library (I was still reading at 02.00 the next morning) got it out a time or two more, picked up a copy 2nd hand and am now really glad to have the electronic and audio versions. l like it that much - it's about people and courage in the sort of situation that gives me nightmares. When you've listened, go on the RNLI website to see the videos. And leave a donation to help with another little boat and those who crew her. I first heard this over 10 years ago and have read and listened many times since. It is just one of the best written love stories I've come across. 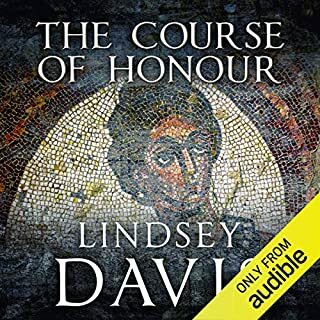 Fitting well with the record of history, it brings one of Rome's great characters to vivid life as well as giving a believable voice to his lady love. It also taught me my Emperors down to Domitian. Whether you'll be as taken with it we'll have to see! This will not be the greatest of the series (for one thing it is Just. Too. Short!) but has it's own levels of satisfaction if you spend time looking deeper. 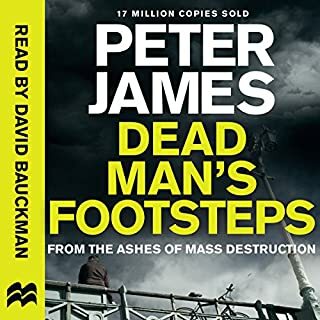 The Folly's past comes up and Peter finaly finds out what did happen at Ettersburg from one of the few who survived coming back. Beverly gets him sorted emotionally (Poor tree) and he invents an electronic substitute for Nightingale's cadwalloper, before being given 2 Staff, British Army, Battle, Wisard (for the use of): vintage! The referances to Prachet's book and LotR films add a smile. Aside from Peter it has to be The Vintage, Veteran exWisard. And the carnivorous unicorns. Is there a voice or accent he can't do? He paces the narative to the passage and if he wrongly voices a line it has yet to jump out at me. 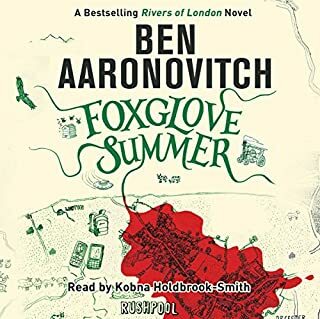 If Aaronovich is not at least 1/3 of the way into book 6... So many hints! A year?! Retired Colonel Ray Longknife and Marine Captain Terrence “Trouble” Tordon come to Savannah via different routes, but what they find is the same. One bully strongman is intent on keeping power no matter what the new rules are for peace. He’s got the population cowered by thugs, and tanks at the ready. He expects to win the coming elections handily. 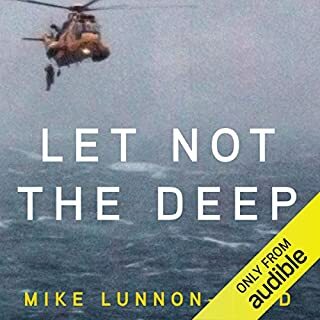 He doesn’t expect Mrs. Trouble - aka Ruth Tordon - a Marine wife on a mission to find the drug lords that almost killed her and her husband and put them out of business - and she’s not about to be stopped. 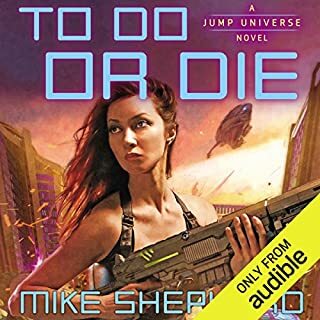 Would you consider the audio edition of To Do or Die to be better than the print version? "Trouble" and his lady wife. Great characters learning this Married stuff under the most trying of circumstances. He follows the ques in the book - growls, squeeks... Rarelly voices lines with the wrong character (a favorate hate of mine). Nice listening. Young Bluebonnet. You'll know why. Yes, Longknife and Trouble save another world... but we do get Black Mountain and the Ladies From Hell! The best sort of escape, not too sugary and plenty going on. 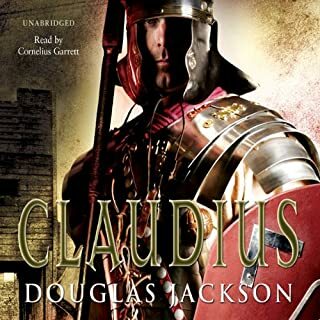 Emperor CLAUDIUS has unleashed the Roman legions against Britain .CARATACUS, war chief of the Britons, must unite the tribes for a desperate last stand. CLAUDIUS desires total conquest. CARATACUS will fight for freedom.An epic battle is coming.Heroes will be made and kings will fall in a struggle that will echo through the annals of history. But the great names are partly peripheral to the story of Rufus and his charge, the Emperor's elephant! Jackson continues his run through the Roman Emperors (what a great way to learn Classical history). This follows on from "Caligula". Well read by the aptly named Cornelius Garrrett. Abandoned as a baby, Andy McNab's start in life was tough. Growing up in South London with foster parents, and surrounded by poverty, he attended seven schools in as many years, disillusioned and in remedial classes. It wasn’t long before his life descended into petty crime. By the age of 16, he was in juvenile detention. Recruited into the Army from there, it soon became apparent that he had the reading level of an 11-year-old. The next six months in the Army education system changed the course of his life forever. 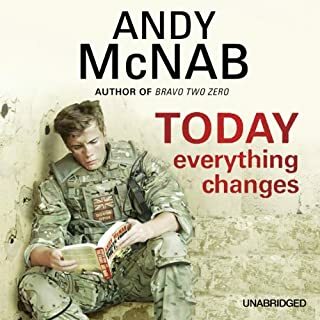 Today Everything Changes is the inspiring story of when life changed for Andy McNab. maybe not so much power but "opportunity and choices". This may be one to try with those who thinks school/learning is useless : ) If you are a late reader you'll find a lot to encourage you. 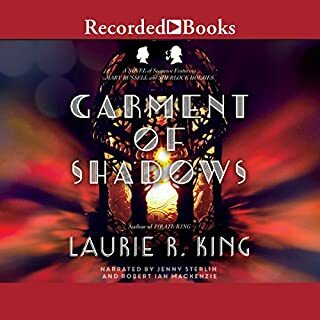 If you want a great but short story, listen on! This is McNab's autobiography starting with his childhood and school - a total waste of time he thinks- ending up in the Infantry and meeting a man who started as he did, funcionaly illiterate, who rose through the noncommisioned ranks to be commisioned as a Captain (at the time many old soldiers think of retirement) in order to teach lads like McNab the joy and opportunity that lies in reading and learning. McNab goes on to qualify for the SAS, where he finds the joy and necesity of learning anew - blowing things up is best done with... ah. Well, listen and find out..! It may be one of those worked-to-death devices but it is totaly inconveniant for our Heroine with an old friend missing, trechery afoot and a country on the brink of rebelion and war, and she with a splitting headache... and who is this man that claims to be her husband?! Thoroughly enjoyed by us over several meals. Looking forward to the next. 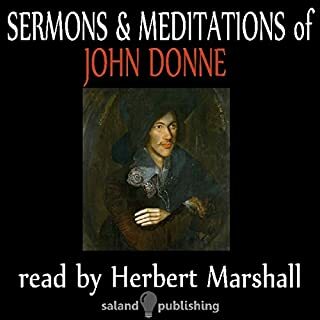 When John Donne stood in the pulpit of St. Paul's, the lyricism of a great poet fused with the devotion of a holy man. There were no prepared sermons, for he spoke only from notes, and what he said was later transcribed from memory. But the sermons were overwhelming; for behind him was a lifetime devoted, as poet, philosopher and devine, to God. It's only half an hour of one of his most famous; "no man is an island...", "ask not for whom the bell tols..." A meditation on illness, health, death, the individual and society. Beutifully read. However the lively accustics blurr some of the faster sections into 'extreamly difficult to make out'. Well worth picking up in the sales though!